This is a post from July 2010 (hence the poor photo quality!) I still use this pedicure when I want some cheap, cute toes, so I thought I'd share it again for those of you who missed it the first time. Enjoy! If you're looking for something cute to adorn your feet this summer, look no further! I got this pedicure done a few years ago. I'm not really good at the whole flower art thing, so to knock off my professional pedicure, I came up with this DIY version. Anyway, start with a base coat. 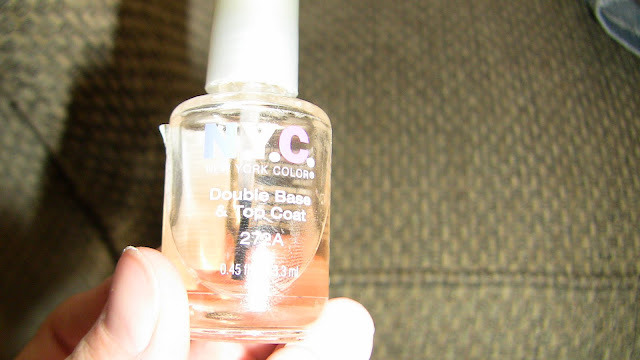 I use NYC base coat/top coat double. Take your color and, following the natural line of your toenail, paint down about 1/8 to 1/4 inch. I usually extend mine just below the line to allow for some growth. Don't worry about being too precise- you'll clean it up in the next step. Next, dip a cotton swab or tiny paintbrush in some nail polish remover, and carefully even out the bottom line of your polish. Also remove any polish that may have gotten on your skin. I have to admit, this tutorial is done on my 5 year old daughter, and I wasn't as precise as I was on myself since I know she'll just have it scraped off in a few hours. Next, take some white craft paint. You could use white nail polish, but I find it easier to work with craft paint. Load a toothpick with a small amount of paint, and lightly press to apply polka dots on the painted toenail. I varied mine top to bottom, but you could be random, and even do different size polka dots. Let it dry for a few minutes. 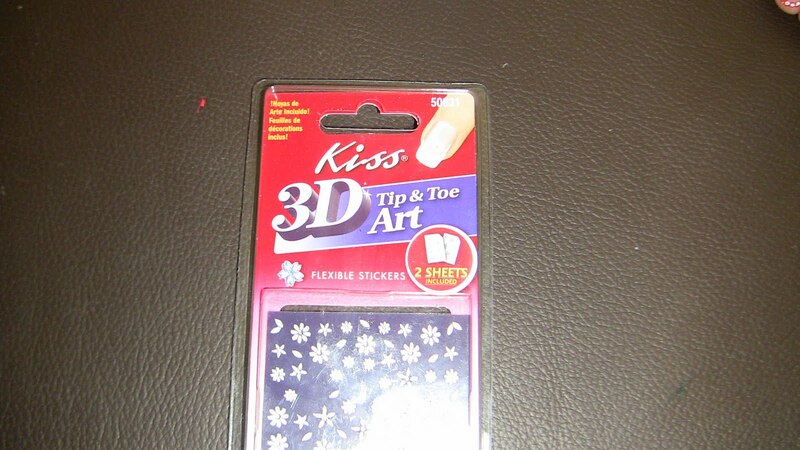 While drying, apply flower nail stickers underneath the painted toenail. I only do it on the big toe, but whatever suits your fancy works. Finish with a double topcoat to seal in the sticker and the nail polish. It's pretty easy, it's cute, and you'll get lots of compliments. Enjoy! Peek a Boo Patterns Winner!